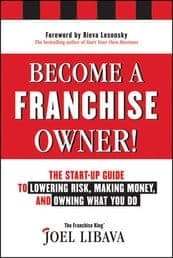 Before you buy a franchise, and before you apply for a small business loan, you’re going to need to have a good franchise business plan. It’s important. That’s because today’s small business lenders need to find reasons to say “yes” to your loan application. They’re still a bit gun-shy when it comes to lending money to new businesses…even franchise businesses. So, if they want to get paid (a bonus or a commission) they have to find a way to get your franchise loan approved. And, if your loan gets approved, you get to open your franchise business. There’s one thing you can do that can greatly increase your chances of getting your franchise business loan approved. When you submit your loan application, include a well-written business plan. Fact: Putting a good franchise business plan isn’t as hard as you think; you just need to know what to include in it. And, you need to make it compelling. LivePlan is the world’s leading business plan software. It’s built for people just like you. People who want to be their own boss. Your business plan will be hosted in the Cloud, so you can have access to it anytime, anywhere. But more importantly, your business plan will include every element your lender wants (and needs) to see. A “yes” on your loan application. Which means a “yes” to your dream of being in business for yourself. If you use LivePlan, and you find that it doesn’t work for you-for whatever reason, just contact LivePlan headquarters within 60-days of your purchase, and they’ll gladly give refund your money. That takes the risk out, right? Buy LivePlan now, and get your franchise business open. So you can reach your financial goals-and take control of your life. P.S. Remember: When it comes to franchise business plans, you’re going to need a good one.